This has zero to do with programming, but my own story of how restocking fee is not a penalty when returning a device. 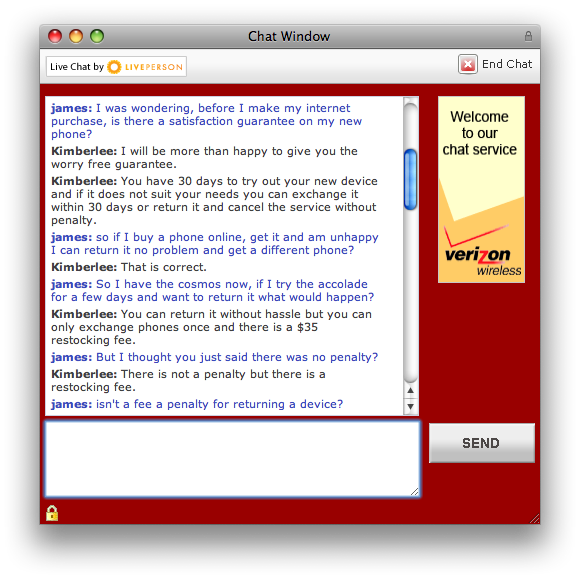 To be fair upfront, this was my own fault because I trusted a representative of Verizon over reading all the fine print. I wanted a new phone, was too lazy to go to a store and try them so I bought one online. Before I did this I did a ‘chat online with a representative’ to get the warm and fuzzy. They told me ‘no problem’ if you don’t like your phone you can return it. Long story short, I didn’t like the phone and went to return it but was told there was a $35 restocking fee. I know, didn’t you read anything? It is posted many places that I didn’t look, that there is a $35 restocking fee. My phone conversations went no where. 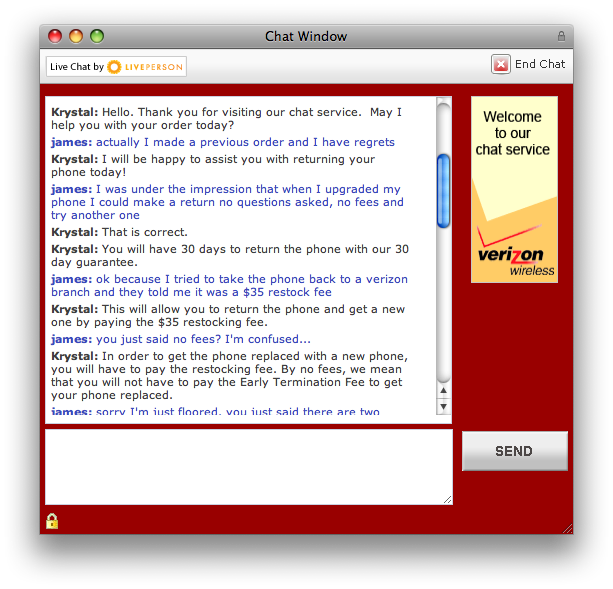 I filled a complaint with the BBB and within 24 hours a Verizon Wireless corporate individual contacted me and assured me that it wasn’t misleading and that they would refund the restocking fee so I could get a new phone.